Capt. 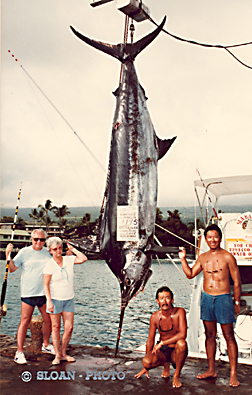 Butch Chee of the SEA BABY III found this grander while trolling on the "Grounds" outside of Kona. They were trolling a bait when the marlin struck and the battle raged for 41/2 hours.